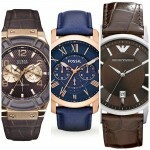 Hey everyone, today we’re going to be looking at the best Fossil watches available in the UK for men. I’ve always been quite fond of the Fossil brand of watches as I think they have a pretty great selection of affordable watches for men. They’re well built with a great mix of styles and designs to pick from. It’s fair to say they lean more towards leather strap watches which is why leather watches dominate this list today. My personal favourite from today’s “Best Fossil Watches UK” post has to be watch number 2. As always I’d love to hear what you favourite is so make sure you comment at the end and have your say. 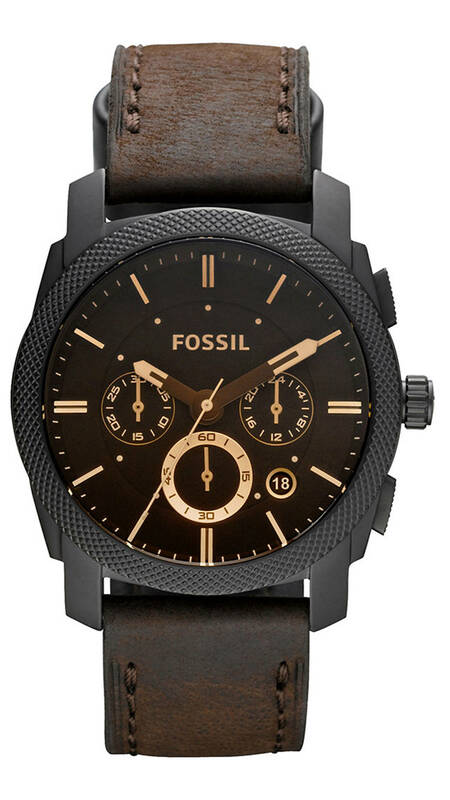 First up in our list of the best Fossil watches UK is this Fossil “Machine” watch. I like the laid back look of the dial with its chronograph sub dials, date display and gold baton hour markers. I nice feature of this watch is the detailing on the bezel, a little dimpling effect that makes it stand out. The watch functions with a Japanese quartz movement has a mineral crystal glass, and a 50m water resistance rating. One of my favourite watches is this skeleton automatic Fossil watch. It has a very attractive looking design with the rose gold PVD plating and dark blue leather strap working extremely well together. My favourite feature has to be this large exposed skeleton dial that showcases a large amount of the inner works of the automatic movement. You can also see the movement through the exhibition caseback on the rear of the watch. The watch runs on a Japanese automatic movement, has a mineral crystal glass, and a 50m water resistance rating. This is another very popular Fossil watch for 2017, it has a simple smart & stylish design with its clear looking cream dial and stand out Roman numerals. It’s easy to see the appeal of this style of watch and why it has been in such high demand, it’s affordable and well built as you’d expect from Fossil. The watch is complete with a chronograph function, runs on a Japanese quartz movement, has a mineral crystal glass, and a 50m water resistance rating. 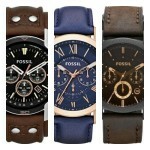 This is well worth consider if you like simplistic Fossil watches. Next up in this list of the Best Fossil watches UK we have this colour variation on the second watch we featured. This model goes for a slightly off white coloured dial and features the same exposed skeleton automatic movement. As with the other watch it also has a exhibition caseback which is a feature I love. The watch functions with a Japanese quartz movement, mineral crystal glass, and a 50m water resistance rating. If you’re not a fan of leather straps then perhaps this chronograph Fossil watch with a stainless steel push-button deployment clasp will be of more interest to you. It’s a smart looking timepiece from the Decker collection with a nice larger 42mm casing diameter and 13mm thickness. The watch is powered by a quality Japanese quartz chronograph movement and features a mineral crystal glass, tachymeter, and 100m water resistance rating. Maybe you prefer full on cuff style watches, they offer a more sturdier feel than a traditional leather strap and are also extra comfortable. 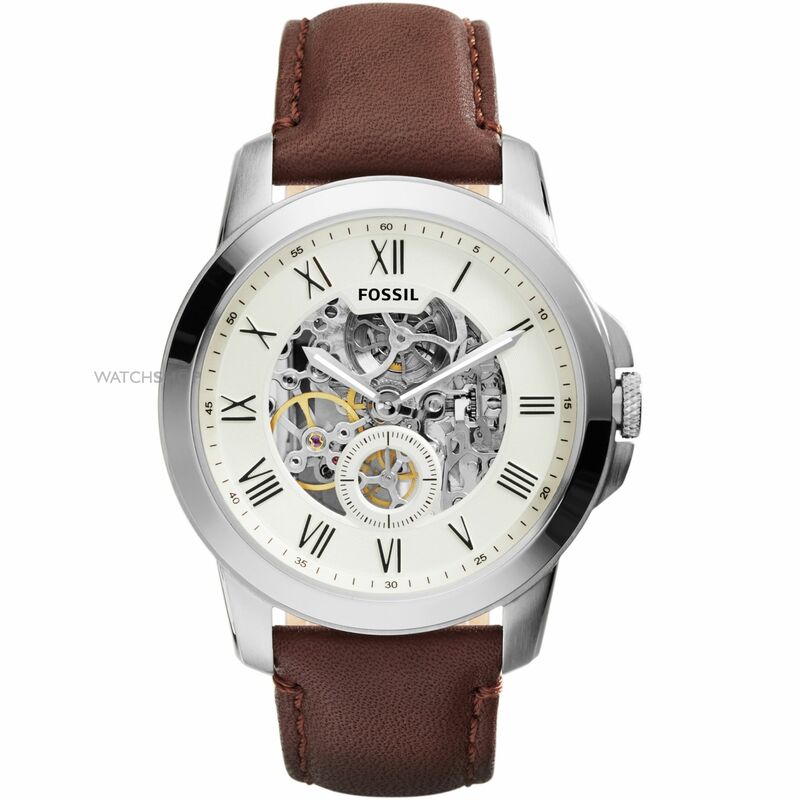 It’s an affordable Fossil watch with a nice looking easy to read dial that has some interesting rose touches. The watch is powered by a Japanese quartz movement, has a mineral crystal glass, and 100m water resistance rating. As always I’d love to say a massive thanks for reading today’s post. Make sure you comment below and let me know what you thought of this latest list. Why not check out my best watches under £500 next.